I am getting close to the Mountain Timezone. AZ does not change their time so it is 3 hours off the east coast. 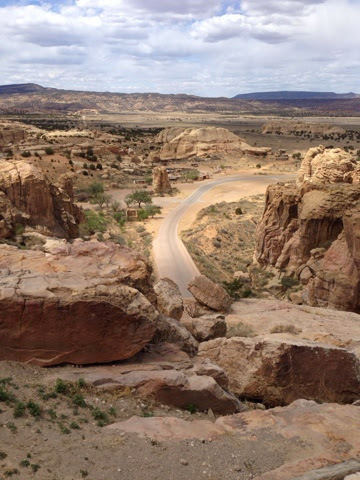 Once I cross into New Mexico I will be in the Mountain Time and only 2 hours off the east coast. So, getting up in Winslow this am it is already one hour later where I am going. The East Bound Amtrack was passing me. I travel 60 MPH the speed limit is 75 MPH. There are a couple of tourist items I passed over as I had been to see them in the past. 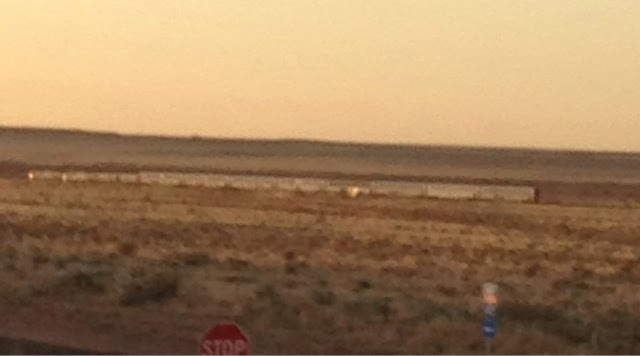 First was just west of Winslow and this is the meteor crater. This privately owned attraction is $16.00 and since I had been before I decided not wait for it to open and head back west 20 miles to see it, but if you are coming here it is a good attraction to see. The second is the Petrafied Forrest National Park. This was on my way east this morning but I had been there and when I went by it was about 6:30 am and not worth waiting for it to open. Yet another place to see if traveling I40. 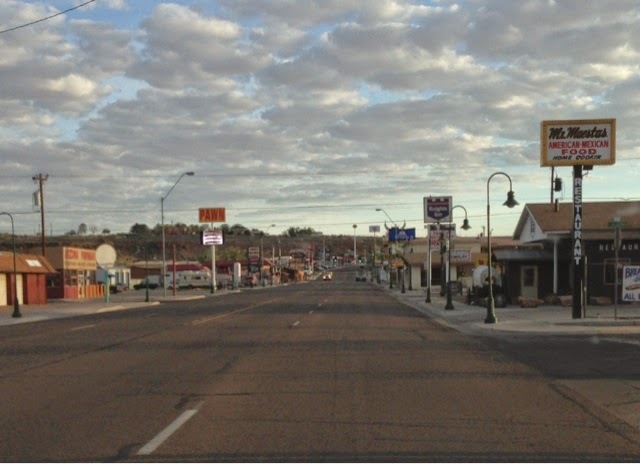 Winslow, AZ is nice to check out on RT66 but when I got to Holbrook, AZ is so much nicer. If you can afford to do both please do, but if you have time for only one go to Holbrook. 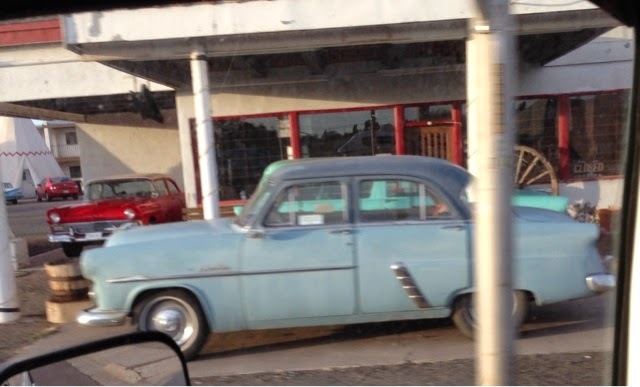 Plenty of old cars to see too. 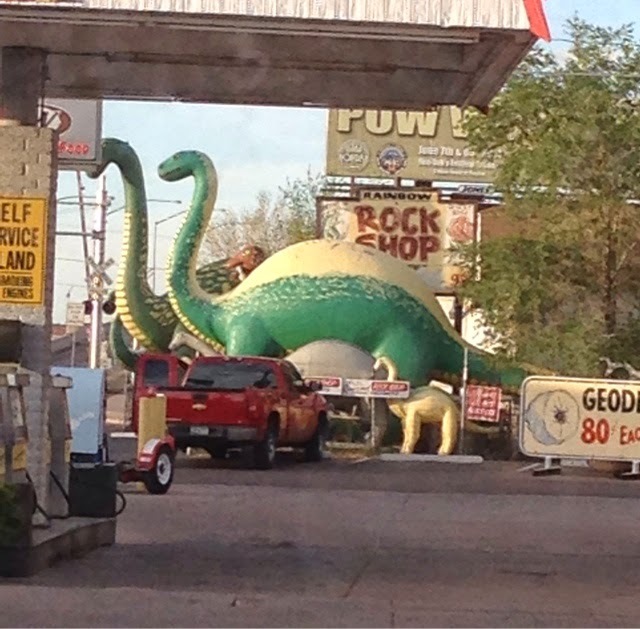 The typical 50's/60's RT66 roadside attractions. It was early when I passed through so there were only a few places open. 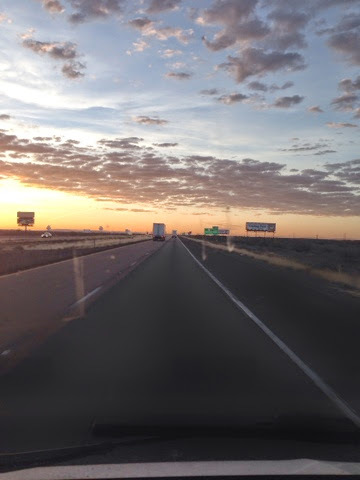 Here is a picture at the border crossing into New Mexico. 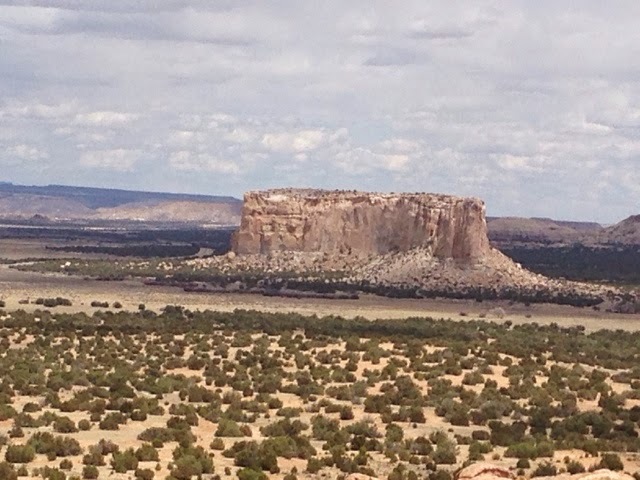 After a brief stop in Galup, NM to decide on my next stop, I decided to go to Sky City 75 miles to the east and 16 miles south vs. going to four corners (where AZ, NM, UT, & CO meet). It was over 100 miles north and then 100 back and I would run out of time for Sky City and Sky City was on my must do list. 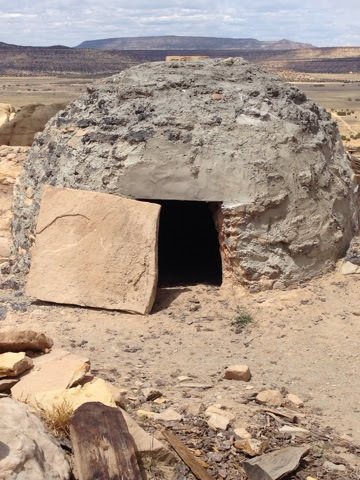 I have been here before but I was impressed with the history of these Indians living on this Mesa for 1000 years I wanted to come back. 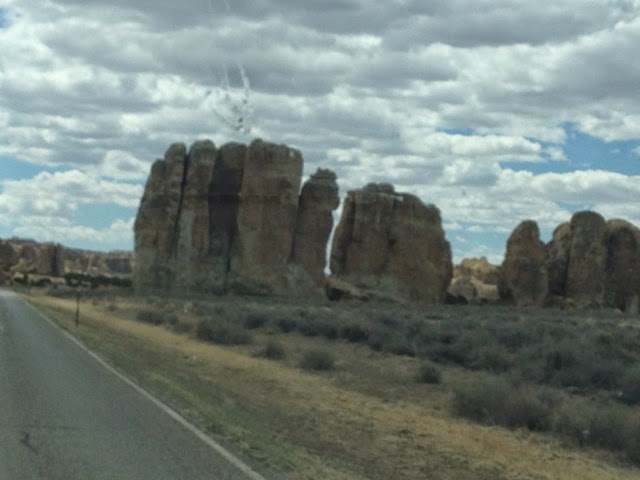 Some interesting rock formations on way south to Sky City. 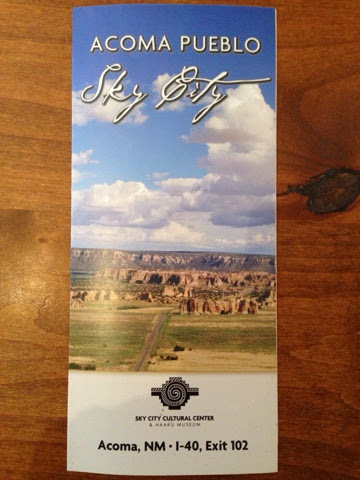 After a brief drive from I40 I arrived at "Sky City"
There is a very nice welcome center. 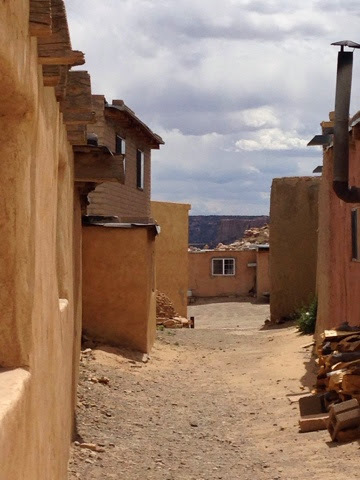 For $20.00 you get a bus trip up the mesa and a tour guide takes the tour group around the many adobe style houses. 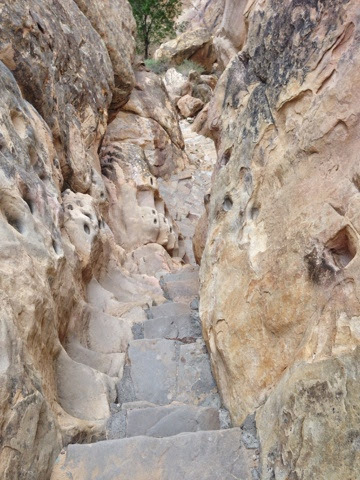 The road was added during the 20th Centry, prior to this and for the prior 1000 years the residents used the cut sandstone trail. 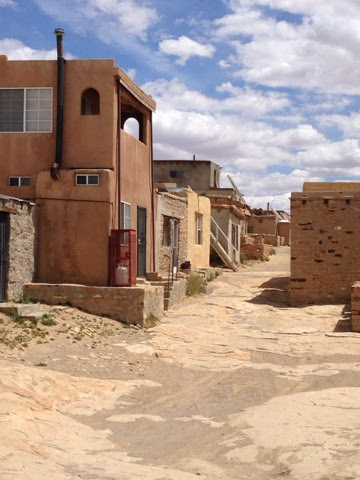 It was a very defensible location, although the Spanish occupation and the residents had a troubled past with colonization and revolts that resulted in many deaths. 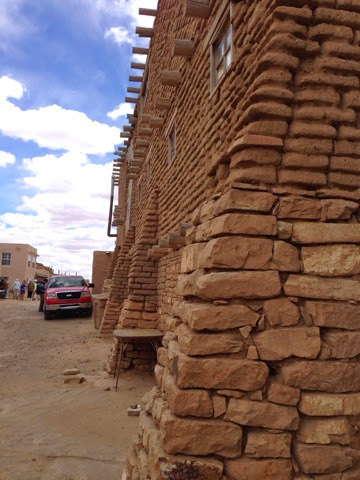 There are no building code so families can rebuild, or replace with adobe bricks or concrete blocks. Cooking is still done with these ovens. 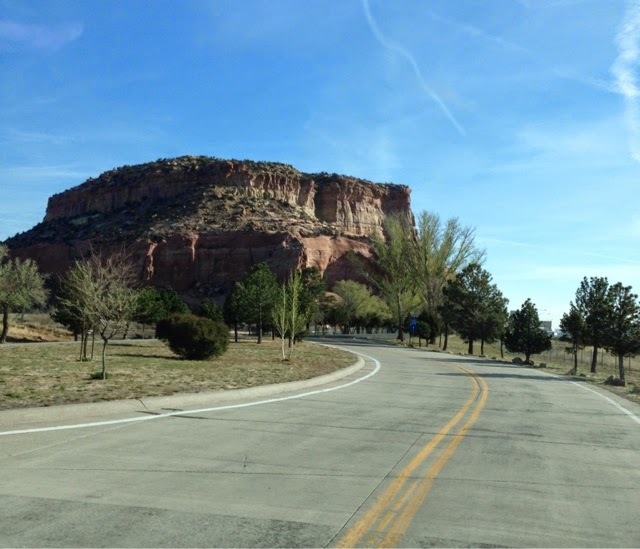 Road leads to the mesa. Buttresses were added to this house to better support the exterior walls. The people first settled this mess off to the east. A lightening strike with all but two residents down below destroyed the only way up. 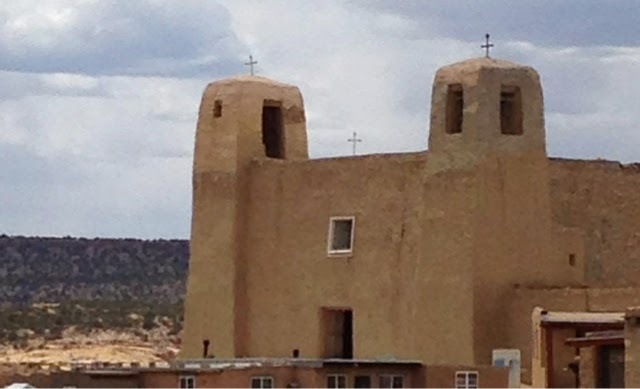 The grandmother and child that remained on top decided to jump after two weeks falling to their death. They then moved to the current mesa. 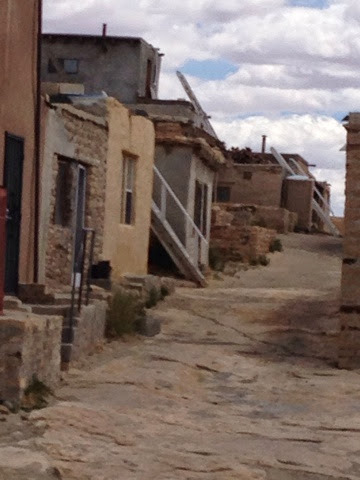 On the west side there is the mission church that Spanish built. 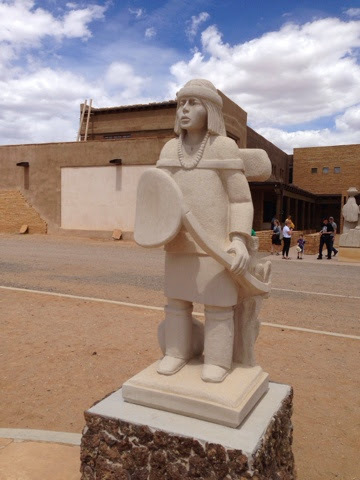 Although Catholicism is part of the Indians lives, they also practice their native rituals that the Spanish tried to eliminate. 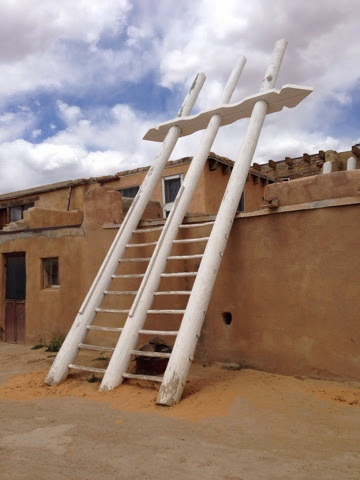 These wooden ladders are now only ornamental. Most water that runs off buildings is stored in cisterns during the summer monsoons. Some dry up there are two that are used for drinking that are deep. The inside of the church was not allowed to be photographed. It was an open concept without fixed seating. 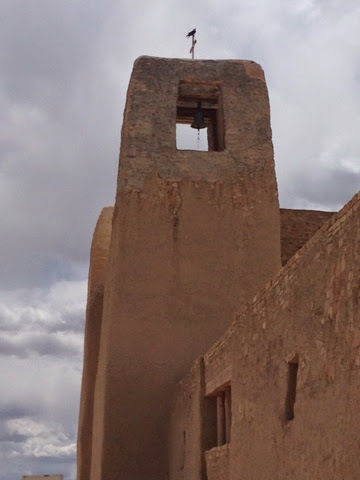 The alter area looked a lot lokevthe mission in Tucson. 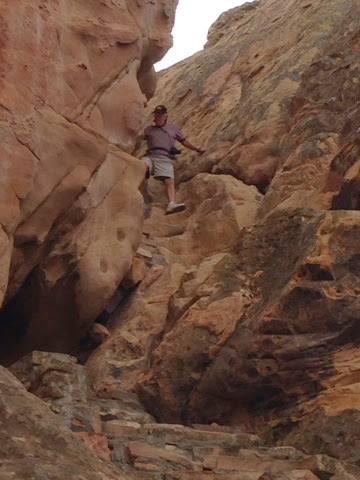 I and two others took the opportunity to climb down the steep uneven trail. There are spots where you need to climb down backwards. 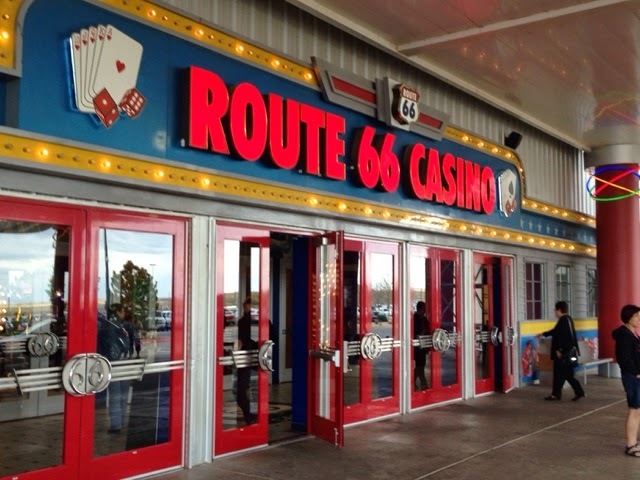 After my visit to Sky City I drove east to the outskirts of Albuquerque wher I spent the night at the Route 66 Casino. The buffet is norlally $10.99 Sunday through Wednesday but with their free players card it is $8.99. Such a deal.